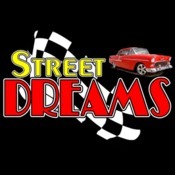 Welcome to StreetDreamsTexas as we celebrate our 19th year in the classic and muscle car business. First generation Chevrolet Camaros (1967-1969) have remained popular since they first appeared 51 years ago. In part, their appeal stems from the fact that no matter how you drive, there is a Camaro for you. Among the most coveted early Camaros are the \'69 Pace Car Replicas. A small production run (3,675) of these Hugger Orange over Dover White convertibles were released to commemorate the 2 official Camaros that paced the 1969 Indianapolis 500. Our gorgeous 1969 Pacecar (Z11), like all true Pacecars, is an RS/SS convertible with the correct Hugger Orange stripes over Dover White (50) and the correct orange houndstooth (720) upholstery. It is interesting to note that this was the only non-Z/28, first generation Camaro that received the \'Z/28\' stripes. The original 396 big block has been replaced with a dimensionally identical 454 that\'s been dressed with the correct valve covers, air cleaner, etc. Additional underhood goodies include an Edelbrock Performer aluminum intake manifold with the EnduraShine finish, a COMP Cams split-duration camshaft with roller rockers (and spacers for use with stock valve covers), beautiful long-tube stainless steel headers, a Champion aluminum radiator, and Mallory ignition. The tremendous torque is sent through a Muncie 4-speed manual transmission and back to a 12-bolt rear axle. Comfort and convenience features include power steering, power front disc brakes, wood grained steering wheel (N34), Custom Interior (Z87), new gauges with the 140 mph speedometer, and a modern in-dash stereo system. The headlight doors have been upgraded from vacuum to electric actuation for superior reliability. The stunning undercarriage sports new paint, subframe connectors, large diameter sway bars, and a new exhaust system with polished Magnaflow mufflers. A stunning automobile that looks, sounds, and drives the way a muscle car should. Street Dreams is a full service dealership that can assist with worldwide delivery, insurance, and financing options.